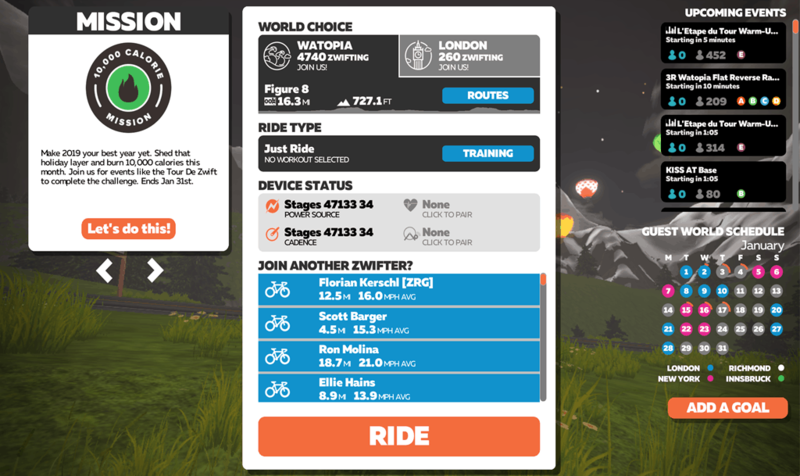 Zwift Finally Rolls Out World Choice…Sorta. Finally, one of the most wanted features is now live in Zwift as of this morning. 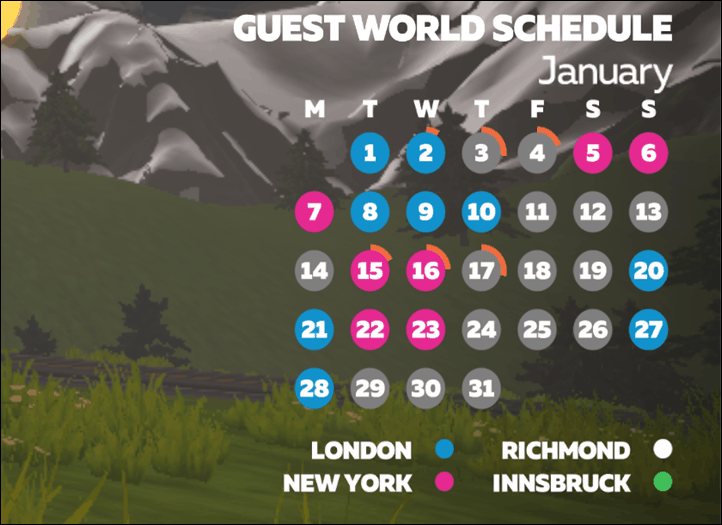 If you’ve got yourself a Mac or PC and Zwift, you can now select which world (map) you’re going to ride that day. As long as that choice matches the guest map calendar of course. See, today’s update allows you to always ride Watopia (aka Zwift Island), and then also ride a secondary map du jour. The map of the day will rotate per the calendar, just like before. Except Watopia won’t be listed on that calendar, since it’s available every day. The update rolled out to Windows and Mac as of this morning, though it sounds like the iOS and Android versions are working their way through their respective app store approval processes. Zwift is saying we should see those in the next few days. Once you’ve got your computer updated, here’s how it works. Once you’ve made your selection, you can then choose any route within that world. 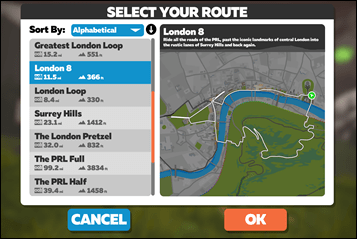 To the left below you can see the Watopia route selections if left on Watopia, and to the right you can see the London choices once I selected that. After that you press ‘Go’ and you’re off and Zwifting in that world. The next question you might have is whether or not the old-school world hack still works. Yup indeed! If you’ve made that tweak to your settings files, then you’ll see your preferred (hacked) world on the left side (in my case Innsbruck), along with the guest map on the right side (in today’s case – London). This is especially handy for the 6 of you that are hard-core Richmond folks and want all Richmond, all the time! Ultimately, I think this is a fair balance, and actually what I’ve been advocating for now for a few years. Having basically two courses each day. 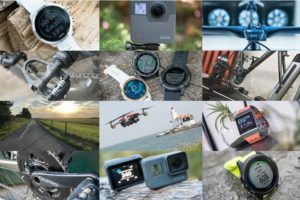 Given I generally prefer Watopia over most other courses, this gives me the option to ride something else when I want to – without having to deal with the world hack (which is especially cumbersome on mobile platforms). 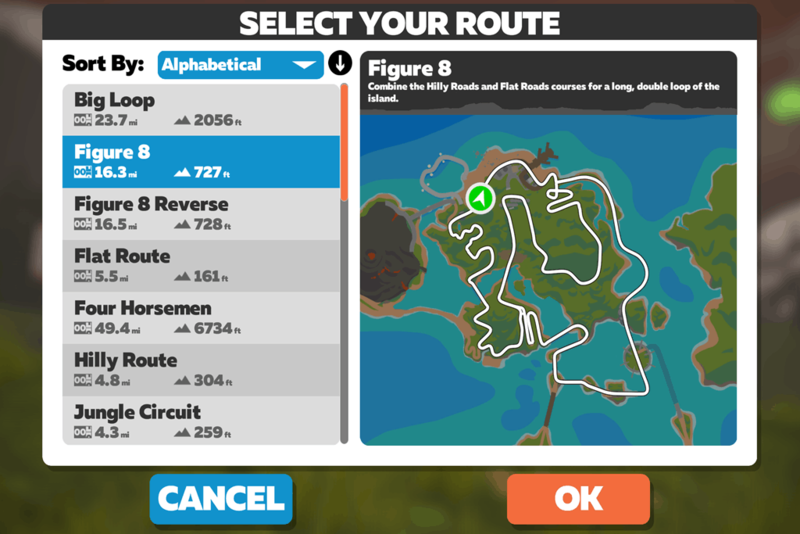 I suspect eventually we’ll see Zwift allow that guest map to be whatever you want, probably once they ensure that user levels reach a certain number to maintain ‘interesting’ quantities of users on the maps. 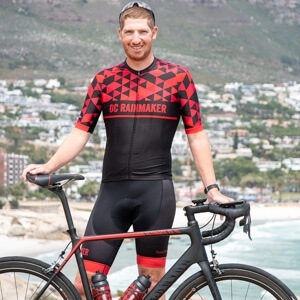 After all, one of the (many) reasons that Zwift has succeeded where other online cycling platforms have failed is because there are actually other people on the maps when you go and ride them. Whereas if you went on some other platforms back in the day and you’d see only five people – it wasn’t exactly the same. It’ll also be interesting once Zwift gets the iOS and Android apps released, to see what users actually prefer. For example if you looked at the stats above showing a mere ~250 people using London, that doesn’t really account for all the iOS/Android people (or even desktop people) that haven’t updated and are just running today’s world which happened to be Watopia (in fact, Watopia will remain on the calendar a bit longer to alleviate this exact non-updated person scenario). And finally, while there was talk (just a few months ago in fact) of some sort of airport between worlds, that didn’t seem to make the cut. I suspect Zwift realized that broke far too many things downstream, specifically with training platforms like Strava, TrainingPeaks, and countless others – unless one split the .FIT files. Else those platforms would assume you rode thousands of miles between something like Watopia (in the Pacific Ocean) and London, due to the way industry standards work for recording of cycling ride data. In any case – I’ll keep today’s post short (it’s Friday after all), and let ya get on with your day. Just don’t forget to give your computer a few extra minutes tonight to get Zwift updated, before you jump in on that race. Have a good weekend ahead, and thanks for reading! This is a big plus for heftier users (raising hand). That NY course was just a beast for those working to take off the extra pounds as there were simply no viable routes that avoided the steep hills. Can’t you just tell Zwift that you’re 50lbs lighter than you are, to make the hills easier? You can just turn the trainer difficulty down. You will go slower in game but the trainer won’t be any more difficult than flat. 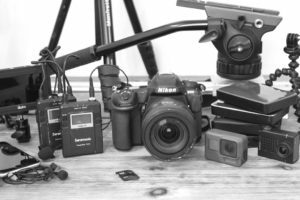 As a user that’s gone from hefty to light and back again – both those options are lame – ESPECIALLY putting in a fake weight. It’s waaayyy more satisfying to earn the right to hills by putting time in on the flats, and still fully feel the occasional small hill at full force. That also gives you a good reference for knowing when you’re ready for some medium hills, and then some large hills. Zigzag you do your thing! I used to just take days with hilly courses as rest days till I was ready, but now we have options finally!!! Totally agree – that NY course is brutal. Punishing for us Clydesdales. Was up Apple TV on Friday. Yep, had the option on my Apple TV today. Quick work. I’ll be interested to see, as we move forward, how this impacts scheduled rides/races, especially for ride leaders. I wonder if we’ll get input from participants of rides/races as to where they want to ride? And, if we (as ride leaders) will have to work out our ride/race schedule and specify where that ride/race will occur? 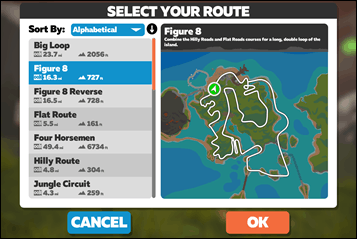 Riders leaders already specify where they want the ride to occur, and Zwift lets you use any world you want. 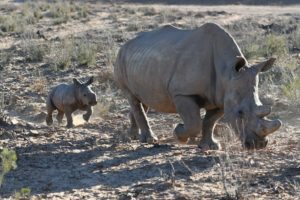 I knew we had the option to ride anywhere, we’ve just never been given the option. I assume we just have to tell Zwift where we want to ride? We rotate between 5 different ride leaders and use a spreadsheet to keep Zwift informed of who is the leader and backup. What about Apple TV. 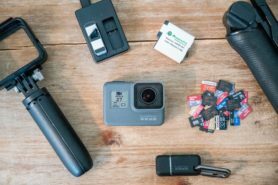 When is it going to be available for Apple TV? What does the orange ‘rim’ on the dates (e.g. 2nd, 3rd, 4th, 15th, 16th and 17th) represent? It means Ray has ridden on Zwift on those dates. Since Zwift already splits activity files when you join a group event, I don’t think the airport issue had to do with confusing Strava… it is easy to stop the activity and start another. I think it was just too much work to create the UI, and Zwifters really didn’t seem to care about the airport idea–they just wanted to pick their world! But that’s a guess on my part. Thank you dear sweet baby Jesus!!! I have had enough with NY. There is only some many times you can go around there and not lose your mind. I’ve always thought it would be super cool to have a ‘warp world’, like the secret areas in Super Mario Bros. Take a left turn into warp world and you can warp into any world you want without changing your ride. Of course I’m sure that would require a lot of modifications to the back-end, and the resulting Strava maps would be … interesting. 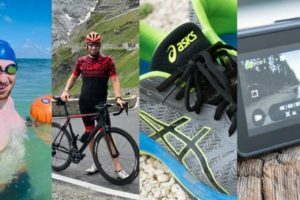 This is a nice feature, but I’ve found myself turning to TrainerRoad more for their super-focused training plans. Their ramp test gave a 15% higher estimate of FTP than the 20-minute test in Zwift (or even the 20-minute test in TrainerRoad). This drastically changed the training effect I got. 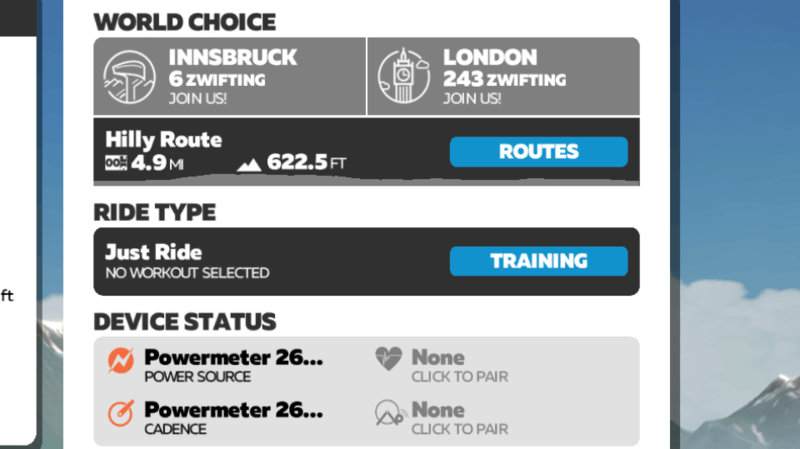 I see Zwift being useful for group rides during the winter, but it doesn’t seem to be as compelling a platform for training plans the way TrainerRoad is. I’ll have to try that our. 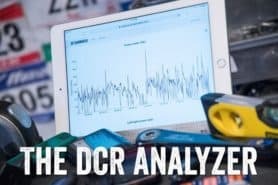 Currently, I run a TV show like Downtown Abbey or Quantico while using TrainerRoad. For super-focused training plan, honestly The Sufferfest beats TrainerRoad. I get that TR has loads more workouts, but it is a bit dull… Sufferfest vids are entertaining and you are given a properly focused training plan. Give the free-trial a go. I’ve subscribed to them all other the years. I like sufferfest (the non bike add on’s are great) but it doesn’t compare to the structured plans in TR. For instance there isn’t really a concept of a base phase in sufferfest bar 2 or 3 workouts. Vids are great though, definitely have their place. They all have their place, ultimately whatever rocks your boat to get you pounding on a turbo you should stick with. But TR provides the most structure and depth of workouts to accompany that. If there was a discount plan for having all 3, I’d be there…. Maybe I’m just more introverted than most, but I don’t find it “interesting” when other people are on the map. Give me an option to get rid of everyone, and I’ll click it every time. Disconnect from the internet once you start riding and everyone will disappear. Then reconnect as you finish to save your ride. Not a big fan of NY course and London can get a bit samey. Glad that the increased fees are being used for those well overdue features. Also noticed, at least noticed for the first time, I can now calibrate me Elite Direto within Zwift. Though it timed out and failed the three times I tried to do it. 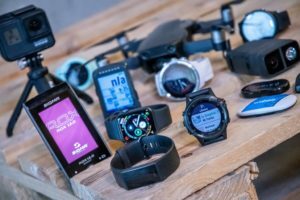 Kudus to Zwift for finally implementing this, although long overdue! It’s a half step between full world choice and for now a “happy compromise” as such. I’m stoked to have Watpoia available every day. Most of the time that’s the map I’d choose. It’ll be interesting so see how many riders choose the daily guest map (especially when it’s Richmond, haha). I don’t care about the other riders on the course. Trainerroad driving the trainer and shown on one screen, tennis on the big screen, and zwift on the 3rd screen just for grins. Course selection makes little difference to me. Check out the three screens of Brad! Big improvement for those like me who like a “landscape driven workout structure”, where Watopia offers great flexibility for workout design, whereas all other maps don’t. No more “today feels like a day for volcano repeats” only to get Richmond instead, or something like that. It rolled out on my iPad! Is it just me or do these updates take hours to install? I switched to trainer road as I didn’t want to wait anymore. Should only take a couple minutes max. I have to admit, living in Perth, Western Australia, means that I won’t have to worry about any of this until, oh, I’d say JUNE. Best wishes to my Northern Hemispherian brethren and Sisteren for Zwifting this winter. Still no world choice through the Apple TV app… I’d expect an automatic update ? You can force an app update on AppleTV: find the app in the app store and perform a manual update.